You can monitor the overall health of individual profilers by viewing their status on Profiler > Configs. See which profilers are active and inactive. 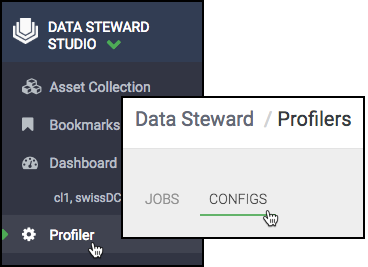 View asset coverage for a particular profiler over time- for instance, if you change a configuration for a profiler, you can see if new assets become covered. Expand the execution status of an individual profiler. The percentage specifies how many assets have been profiled by this profiler on that day; the color denotes whether they were all successful, or not.